Duval Superintendent finalist Michael Dunsmore says he’d be a coach to the Duval County school district, surrounding himself with smart people to help fix what’s broken and stabilize what’s working. 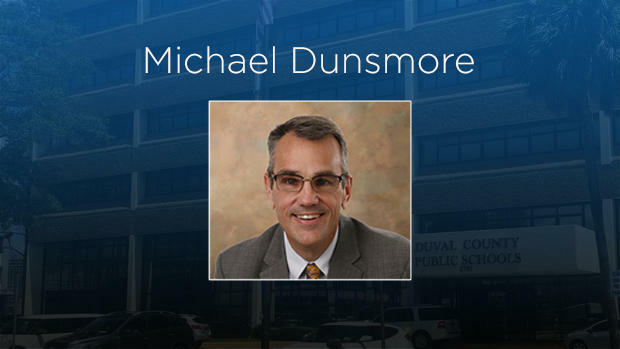 The Duval County School Board met with Dunsmore during a two-hour public meeting Wednesday morning. It was the first of three superintendent finalist interviews this week. Dunsmore is currently the superintendent of North Carolina’s Wayne County Public Schools. The district has about 19,600 students and a $195 million budget. That compares to Duval’s 128,000 students and about a $1.7 billion budget. His ability to transition to a large, urban district was a recurring question from board members. “The superintendent from Duval County may require a different set of skills,” said Wright when asking Dunsmore how his skills would transfer. He said he’s had experience transferring to a larger district when he left leading 690-student Tyrrell County for 19,600-student Wayne County in 2015. He said what excites him about transitioning into a larger district is all the experts Duval employs. Dunsmore added there are some similarities between Wayne and Duval counties because both have rural and more urban areas. He said Wayne also has issues with poverty. Board member Ashley Smith Juarez told Dunsmore that Jacksonville is still healing from wounds of segregation and desegregation. She asked how he’d contribute to healing. Dunsmore said it’s the same in Wayne. He said one opportunity for healing is building that trust, ensuring every student has the same opportunity. He said when looking at school choice options, inequalities can be found in transportation. Some parents can provide it, others can’t. But he said it’s even deeper than that. “What about the children that don’t have that opportunity or don’t have a parent that’s there that is taking an interest in their school career, their school life?” he said. He said that’s where getting into communities, listening to their needs and following through is important. Dunsmore has led Wayne County Public Schools in North Carolina since 2015. He was also the head college wrestling coach at Shippensburg University for eight years until 2001. And his teaching background is in special education. Quality education for special needs students is something he voiced he was passionate about. 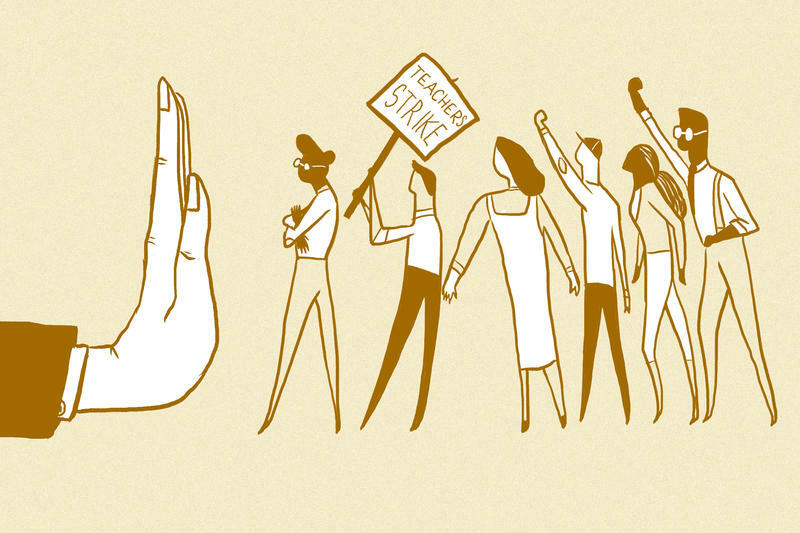 Dunsmore’s interview happened to be on the same day teachers in his state were marching for better pay. Dunsmore said he closed schools, but opened several sites to students for lunch. Board member Cheryl Grymes asked him how he creates a climate where teachers feel valued. He said he also supports his teachers with professional development -- building a team to work with low-performing schools. When it comes to his leadership teams he said he encourages them to try new techniques and initiatives. He said it’s important to him that his staff knows it’s OK to make mistakes. “I tell my staff this, if it works, great job you can take credit. If it doesn’t work, blame me,” he said. Dunsmore said in general, school districts haven’t done a great job with the messaging surrounding public education, and the innovation happening in schools. “Their perception of what we’re doing is far different than what’s happening in our schools,” Dunsmore said. Board member Scott Shine was absent for Dunsmore’s interview. Over the weekend a focus group panel interviewed the finalists. Some positives highlighted were that Dunsmore seems honest, giving specific, detailed answers. He also has experience lobbying and advocating public education, acknowledging public education is in a crisis. They also liked he willingness to take risks and allow teachers to be creative in the classroom. But several focus group members were concerned about Dunsmore’s transition to a large, urban district like Duval. “How would he manage a district Duval’s size?” and “How [would he] manage a jump to a district as large as Duval,” were a couple of the comments. The other two finalists will be interviewed Thursday and Friday at 9 a.m. 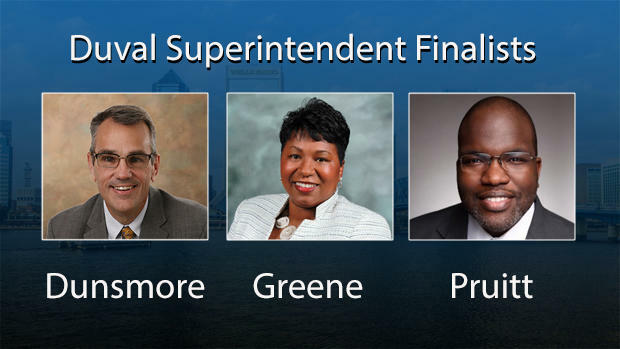 The board is aiming to vote on a new superintendent late Friday afternoon. Duval has been operating with an interim superintendent, Patricia Willis, since Nikolai Vitti left the position last May to lead Detroit schools. 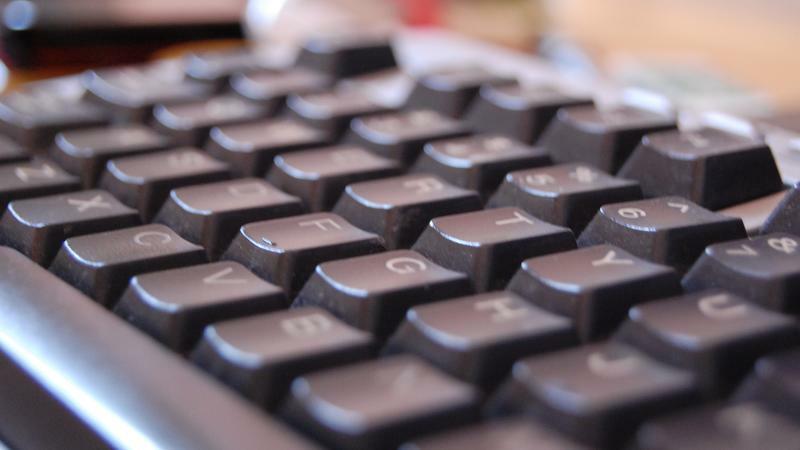 The Duval County school district is continuing to prioritize technology this upcoming school year. 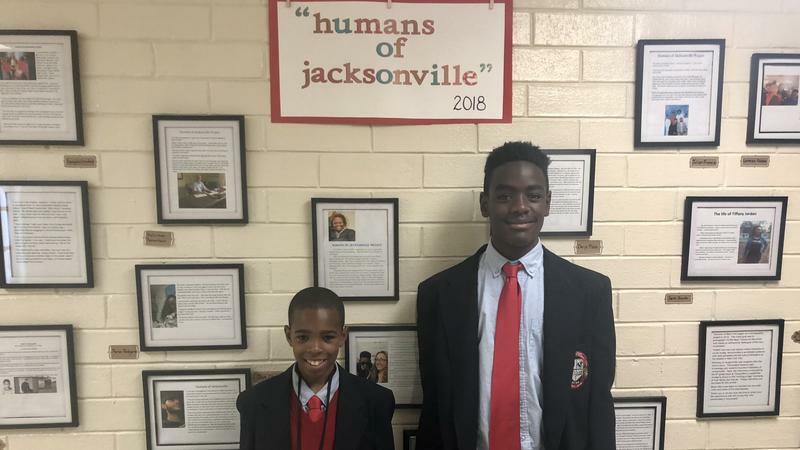 Thirteen-year-old Tyrek Washington was the first person in his language-arts class to turn in his end-of-the-year project.